I saw a recent article on LinkedIn and that got me thinking. be more emotionally invested in their candidates resulting in delivering quality enthused candidates who will succeed, ultimately affecting the overall success of the company too. I agree wholeheartedly with the points above and in this day and age recruiters should be working in a more service-orientated and less transactional manner, building long-term client & candidate relationships, it’s something that we practice here at Sandringham Wood working with external recruiters although it’s not always easy to do as the industry is currently working under different parameters. Don’t feel recruiters offer a decent service, aren’t loyal and don’t promote their employer brand well enough. Do not feel loyalty from clients so will sometimes approach candidates they’ve placed in the past in order to try and fill a vacancy elsewhere; this then feeds the distrust clients have of recruiters. Clearly there are two sides to every story, so what are the solutions? Firstly, trust has to be built in any working relationship. A professional recruiter can only provide a great level of service if they have a real understanding of the business, the ethos, the culture and the overall employer brand. This may take some invested time to start off with yet will pay dividends going forward in terms of better candidate attraction. Work with either one or two recruitment firms you then have time to spend with and provide those recruiters with all the information they need to deliver a good service. If countless recruitment firms are used, the same job is then advertised on an infinite number of job websites and can make your company look a bit desperate. This can be off-putting to quality candidates who get approached by numerous recruiters about the ‘same’ job. A bit like the house on the market that’s on with every local estate, people may think ‘what’s wrong with it’ that the vendor had to market it with so many agents! If given the right information at outset and the time to do the job properly a good recruiter will work tirelessly to find/source the right individuals for a company; this will include assisting with job spec writing, contacting their network of candidates, writing good copy job advertisements, sifting through applications (lots in some cases!) and thoroughly spending time with pre-selected candidates to ensure the best possible match is made. Then working closely with both client & candidate through the interview/hiring process to ensure a successful outcome. Clearly there are costs involved; one could argue that a company could do all this themselves; place their own advert, sift through a barrage of applications, identify suitable applicants & handle the whole interview/hiring process. However, time is money and whether we like it or not we all need to engage ‘specialists’ – I may think I know what a decent heeled shoe should look like but I wouldn’t try to make a pair myself! 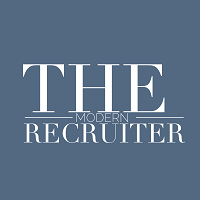 By using a recruiter a company has a ‘middle-man’ who can help your company promote your proposition, employer brand and future opportunity for the candidate within the business. The middle-man can handle any objections upfront, can offer additional information to attract/engage the candidate (especially passive candidates) in order to arrange an initial interview, can advise the company if the candidate has other irons in the fire (something a candidate is not likely to share directly), can handle salary & benefit negotiations to ensure a successful outcome and will also be there post-placement to ensure both parties are happy and assist accordingly if things need rectifying. Recruiters need to push back and explain what they do in more detail, explain why just being given a job spec via email from a company is not enough for them to do a decent job. Be less ‘salesy’ and ‘transactional’ in their approach; more ‘consultative’ & offer added value. Build trust with companies, worry less about high ‘sales’ targets and concentrate on just delivering good solutions to the problems your company has i.e. put the company first and stop robbing Peter to pay Paul i.e. putting people in the front door and taking them out the back – that would help win trust from companies.